The Independent Campaign Network ICN, a campaign group routing for the gubernatorial candidate of the All Progressives Congress (APC) in Enugu State, Senator Ayogu Eze, has reacted to an allegation by one Mr. Jackson Ude, the publisher of an online magazine, Point Blank News, whom it described as an agent of the Enugu State government, who recently accused Senator Ayogu Eze, of embezzling the sum of N250 million, meant for some road maintenance in connivance a former Managing Director of the Federal Roads Maintenance Agency FERMA, Mr Gabriel Amuchi. The group in a statement issued today and signed by its spokesman, Comrade Jude Ochiagha described the allegation as personally insulting, reckless and baseless. It said such allegation is high fiction concorted by the Enugu State government, which is now being disseminated by its paid agents, and as such, constitutes an insult to the intelligence and sensibility of the respected people of Enugu State, whom Senator Ayogu Eze, have meritoriously served as their representative, in Nigeria's upper legislative chamber, before now. "While we are not unaware of the resort to desperate tactics, by the outgoing administration of Governor Ifeanyi Ugwuanyi in Enugu State, we wish to state that the present falsehood being marketed by the agents of the Enugu Governor, remains unsubstantiated and frivolous, and such petty blackmail, aimed at tarnishing the increasingly rising profile of Distinguished Senator Ayogu Eze, the APC Governorship candidate, only lend credence to the general belief of the people of Enugu State, that the outgoing administration of Governor Ugwuanyi, is out to play politics with everything, including the good names of his political opponents. The group further said it wish to remind the Nigerians, that it is on record that the administration of Governor Ugwuanyi has been adjudged as the most corrupt, in the entire history of the State. "Should we ask the purveyors of this campaign of calumny against Distinguished Senator Ayogu Eze, to do an assessment of Enugu State under the administration of Governor Ugwuanyi, they themselves will be amazed about how backwards Enugu has been taken, and the height of the eddifice of corruption, that the administration has successfully built around itself." "Rather than seeking for reelection on the basis of his achievements, if at all there is any, Governor Ugwuanyi and his mob, want to turn the issue of corruption into a campaign issue. They wants to use it to malign the integrity of the APC candidate, whom they know now enjoys the support of the majority of our people in Enugu State. The group also said, that Senator Ayogu Eze's records of public service are not hidden and are available for scrutiny at any time, that occasion demands, and that those accusing him of embezzling public funds, have no moral basis to talk about corruption. 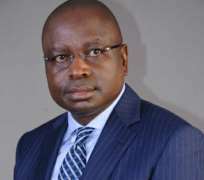 The group urged the general public, particularly the people of Enugu State, to disregard the allegations against Senator Ayogu Eze. "We cannot but use this medium to salute the people of Enugu State, for their show of love and determination, towards ensuring that Senator Ayogu Eze is elected as the next governor of the State, come 2019" the statement concluded.